Today I walked around the central part of Shirakawa City viewing cherry blossoms which have survived from heavy gust of wind last night. Photo above was a view of Kominejo Castle surrounded by many cherry blossoms taken from JR Shirakawa Station platform. The castle was right next to the station in the north. 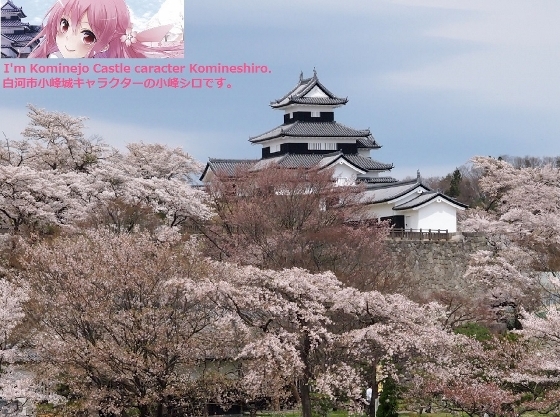 I added an official character of Kominejo Castle, Komineshiro, on the picture. Then I walked toward Nanko Park which was an oldest park in Japan completed in 1801. 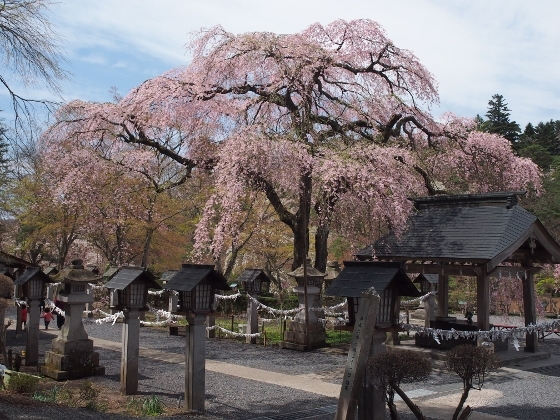 Shirakawa feudal domain lord Matsudaira Sadanobu built the park and he also planted a weeping cherry tree at the same time, which was called Rakuo cherry tree as shown above. 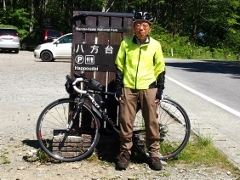 It is located in the precinct of Nanko Shrine where the lord was enshrined. The tree is more than 200 years old. 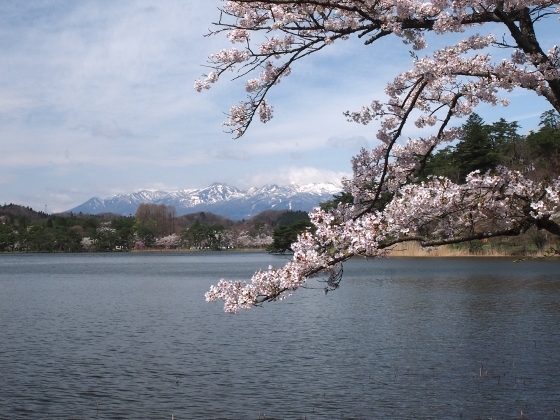 Many other cherry trees were planted around Lake Nanko and some of the views today are shown above. 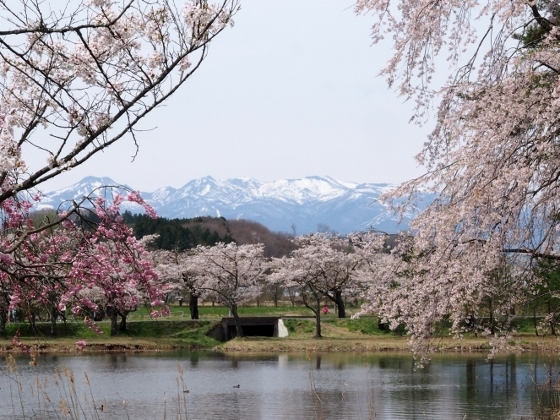 Still snow-capped mountains in the pictures above are Nasu Mountains located in the west. 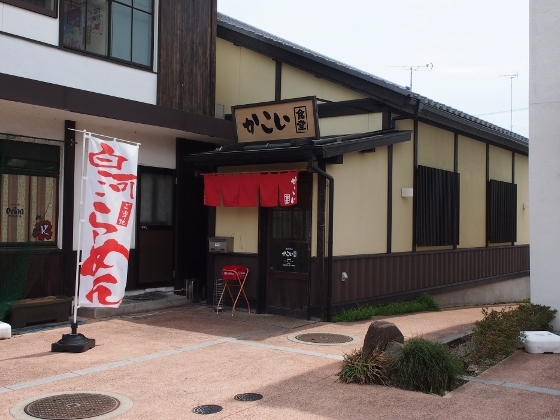 Finally I returned to the city center and had Shirakawa Ramen at lunch, which was a local specialty food. 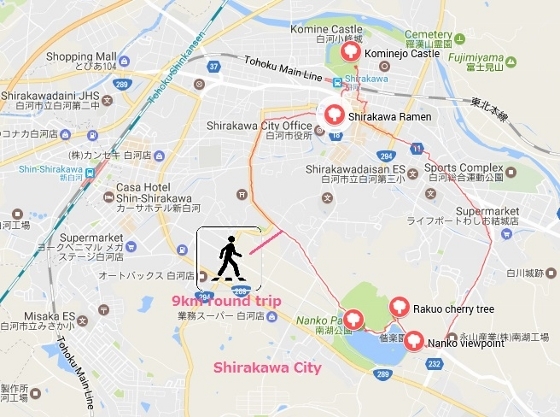 An excellent Shirakawa Ramen restaurant Kakoi is located within Rakura Square close to the station as shown above.